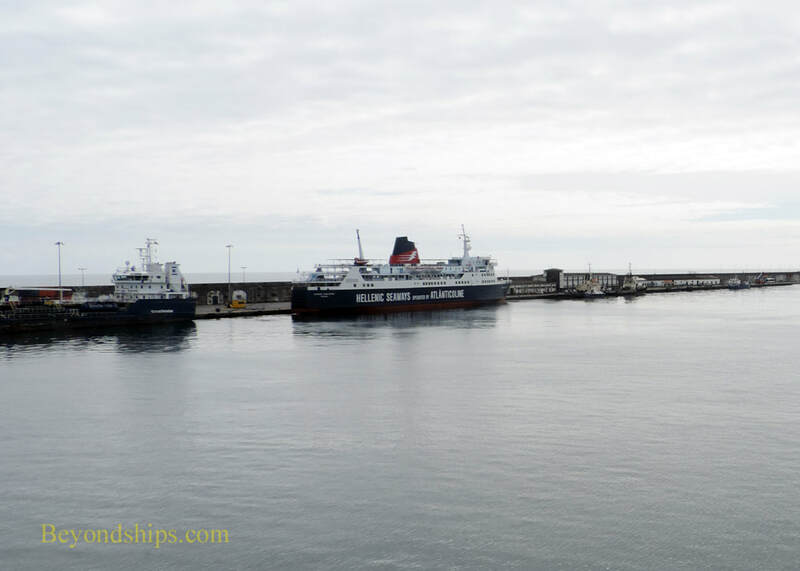 Cruise ships calling in the Azores dock at Ponta Delgada on Sao Miguel island. It has two places where cruise ships dock. Completed in 2008, the Terminal Maritimo is a modern terminal next to the small craft marina in the heart of town. There are shops and cafes that are part of this complex. There is parking on the roof of the terminal and for the shore excursion coaches. 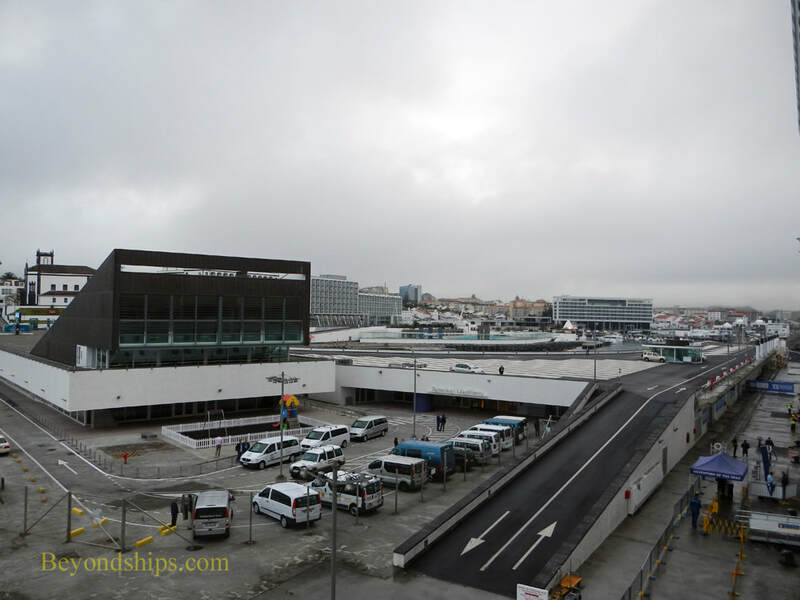 The terminal is connected to shore and it is a short walk to Avenia do Infanta Dom Henrique, Punta Delgada's main street running along beise the harbor. Cruise ships also dock at the industrial docks, which lie along the sea wall that divides the harbor from the sea. These docks connect to the mainland but the distance into town is greater than at the Terminal Maritimo. When cargo ships are unloading, walking ashore is prohibited and a shuttle service is implemented. 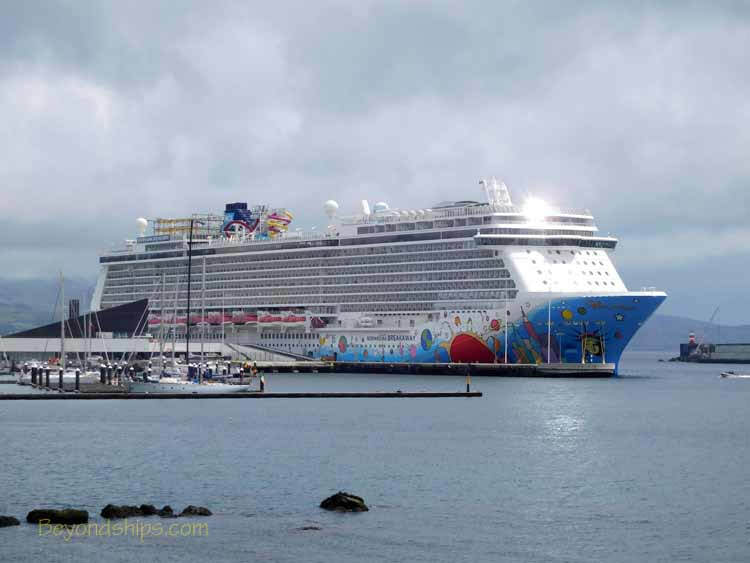 Above: Norwegian Breakaway in Ponta Delgada. 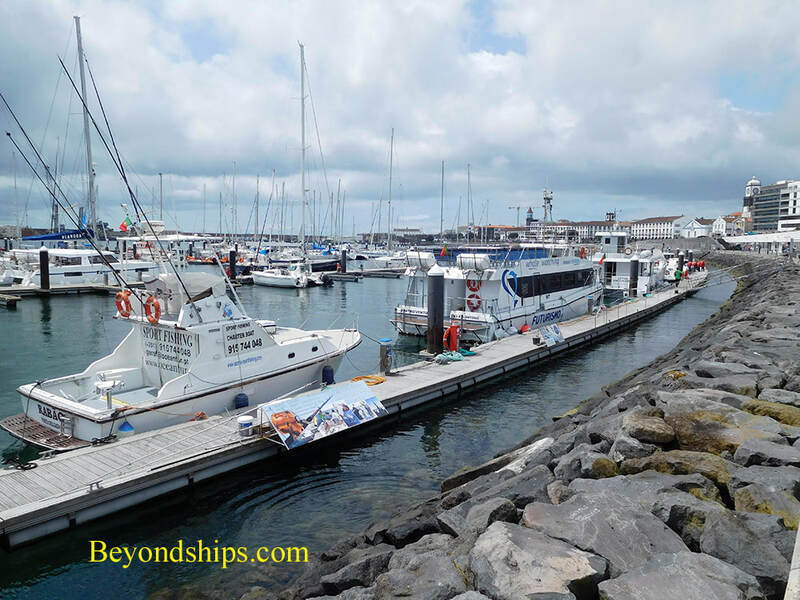 Right: Boats offering whale watching tours and deep sea fishing operate out of the marina by the cruise terminal. 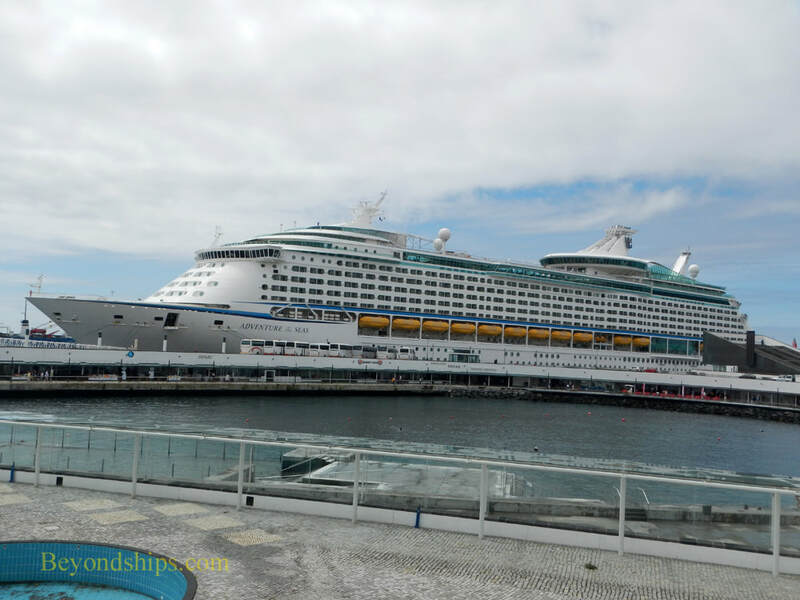 Above: Adventure of the Seas at Terminal Maritimo.